Before we can support one of your upcoming programs (events, campaigns, email blasts or other activity), please read through these items prior to completing the online partnership form. Please do not send emails to our board members; completion of this online partnership form will be the only form of consideration. Are you contacting us at least 2 months prior to the program execution date? Does the program not coincide with a Philly SHRM program? Are there any conflicts with the chapter’s event logistics – day, timing, speaker or subject matter – being the same? Will the program provide real benefit to our HR membership? Is there real benefit to this partnership for our chapter members? If the program entails cost/revenue sharing, a detailed agreement should be drafted specifically detailing how each will be shared, reviewed by our chapter’s legal lead and approved prior to discussion about the program being referenced. If an agreement has to be drafted and signed which include cost/revenue sharing, we ask contact be made at least 3-5 months prior to the program. Potentially generate a revenue stream for our chapter. Create an active partnership with another organization supportive of Philly SHRM’s mission. Will not create spam or sales messaging to our membership. 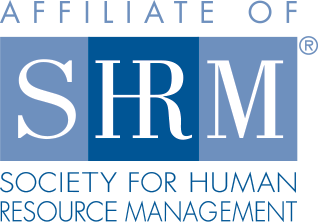 Promotes Philly SHRM to your membership or email list. Share our membership list or any member contact information with you. Extremely push members to participate in the program. Give permission for logo use on any materials prior to the partnership being approved. Once partnership’s approved, Philly SHRM must review marketing items prior to releasing any information or graphics about Philly SHRM and the program. If you would like to partner with Philly SHRM, please complete the online partnership form below. Our association management team will be in contact with you for additional follow-up. Please note: We will reach out to the person listed as the contact person on this form if we need additional information or details. We review all requests on a monthly basis so please be sure to include all pertinent information so the board has as much detail to base their decision. We understand waiting can be difficult, but, we ask that you only contact our Executive Director at info@phillyshrm.org to follow-up with additional information, or, if you have not heard from us within 3 weeks of submitting your request. Thank you.